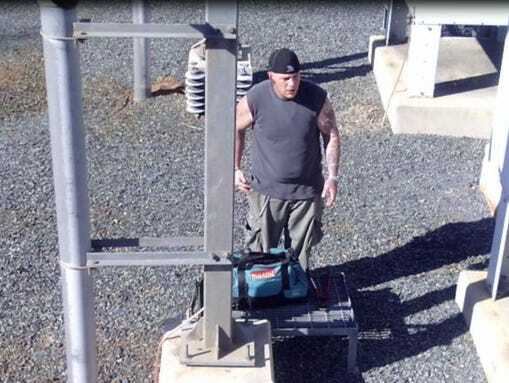 MONROE, N.C. — The Monroe Police Department is asking for the public’s help identifying a suspect seen stealing copper wires from city-owned power sub-station. The most recent incident occurred April 1 around 6 p.m. 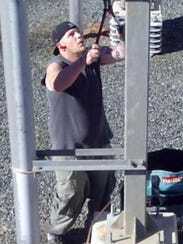 The suspect wearing a backwards baseball cap and sleeveless t-shirt was captured using a bolt cutter to remove the wires on four separate occasion in the course of a week. 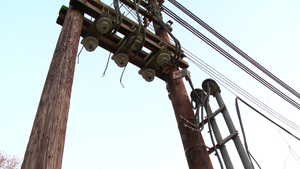 Police say he stuffed the wire in a blue duffel bag and hauled it off on foot from the sub-station. “It would lead you to believe it’s somebody who knows something about electrical substations,” said Monroe Police Captain Mark Coen. “More of our surveillance have been beefed up in that area. 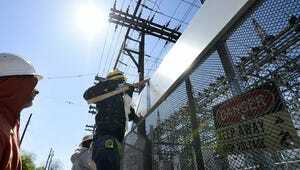 We are looking at how toimprove the security of our other substations within the city,” he said. The picture also shows the suspect’s most distinctive characteristic: his tattoos. Coen says his entire left arm is covered in tattoos, and one shows a horned animal or person.